Product prices and availability are accurate as of 2019-01-20 14:19:00 GMT and are subject to change. Any price and availability information displayed on http://www.amazon.com/ at the time of purchase will apply to the purchase of this product. About this item This 16 fl oz Correspond Sunscreen is formulated to supply broad spectrum UVA/UVB defense to prevent sunburn. Featuring an SPF of 50, the sunblock is moisturizing and hypoallergenic. 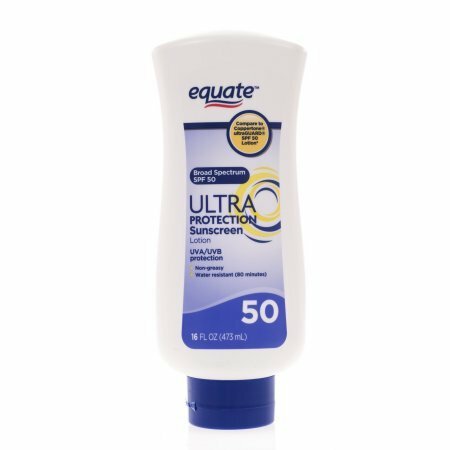 Water resistant for as much as 80 minutes, you can wear this Equate SPF 50 Lotion in the pool, lake or ocean for complete defense from the sun. Enjoy spending time outdoors with the defense strength you require from this sun block. Eltamd UV Clear SPF 46, 48-Gram 1.7 oz.